During my stay in Dubai I wanted to explore the capital city of the United Arab Emirates, because Abu Dhabi is just about 150 kilometers away from Dubai. I have just been there for one day, so it was time so visit the (in my opinion) three main attractions. Netherless, the May 12th became one of the most impressive days of the entire vacation. 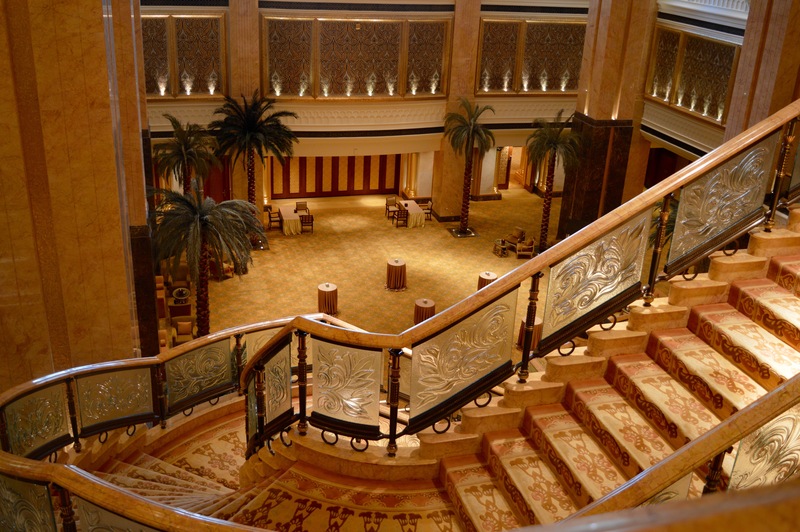 Spend some time in the Emirates Palace – pure luxury in one of the best hotels in the world! 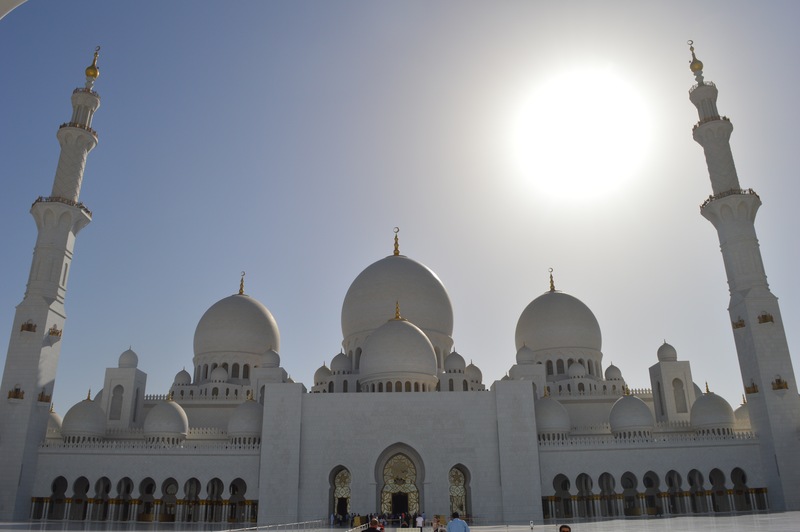 Visit the Sheikh Zayed-Mosque – beautiful and incredibly huge mosque! 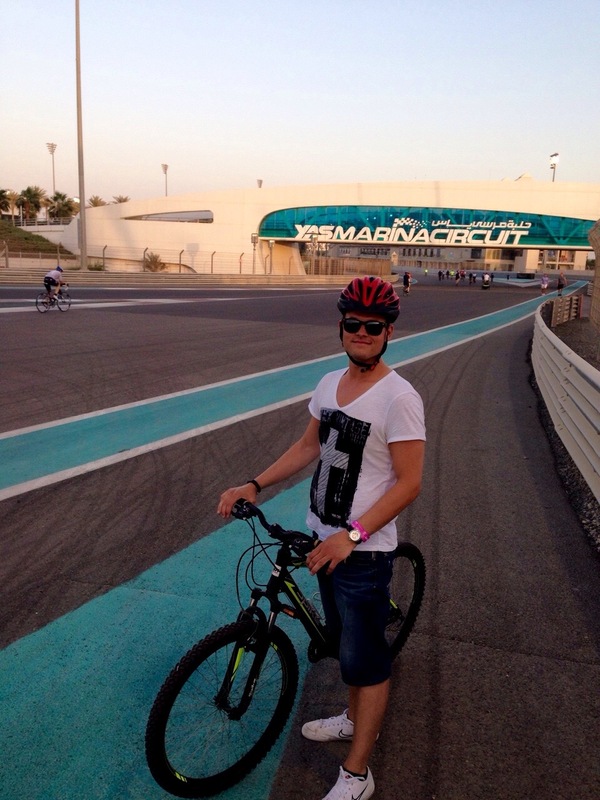 Cycle along the formula 1 circuit in Yas Island – an unforgettalbe experience! With the rental car, the way led to the south and after about 1.5 hours, the capital of the United Arab Emirates was reached. 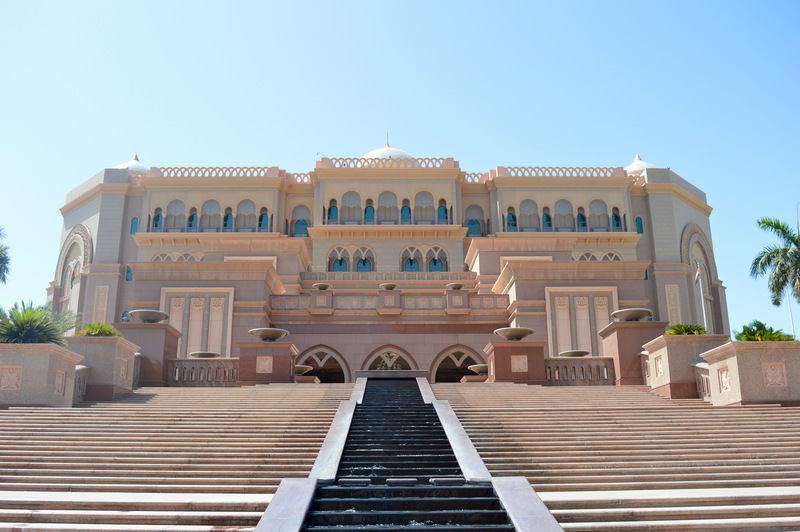 Through the city, over several bridges and along many impressive buildings, I reached the first sight of the day, which is one of the best hotels in the world – The Emirates Palace. However, before you can enter the estate, it is to mention that you have to wear a certain dress code. Because of that, a security guard adviced me to wear long trousers and a long-sleeved shirt. So after I´ve changed them and entered the hotel, it immediately was obvious why it is called „palace“. A beautiful, thoroughly greened and huge fountain landscape borders the area to the side by the imposing stairs up to the main entrance. Also exceptional is the separate hotel driveway that is used for official guests. The magnificent entrance is recognizable by its 40 meter high archway from afar and leads right past the main entrance to the upper floors. 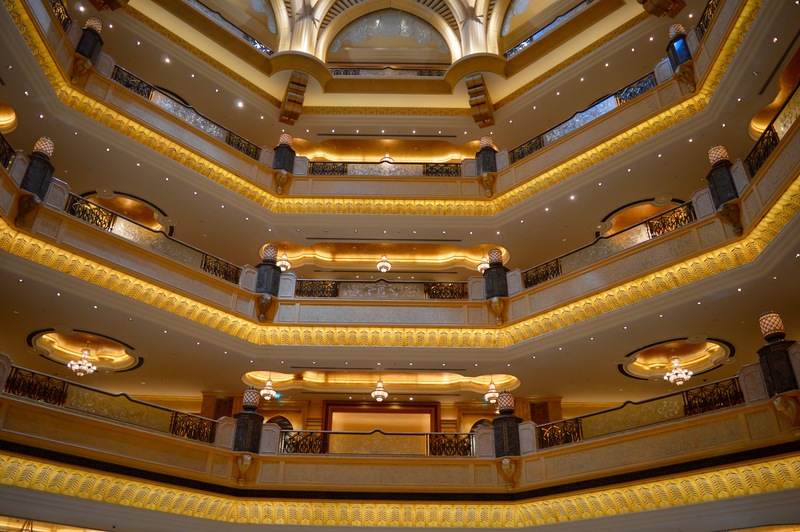 The pompous and gigantic first impression continued after having entered the Emirates Palace! 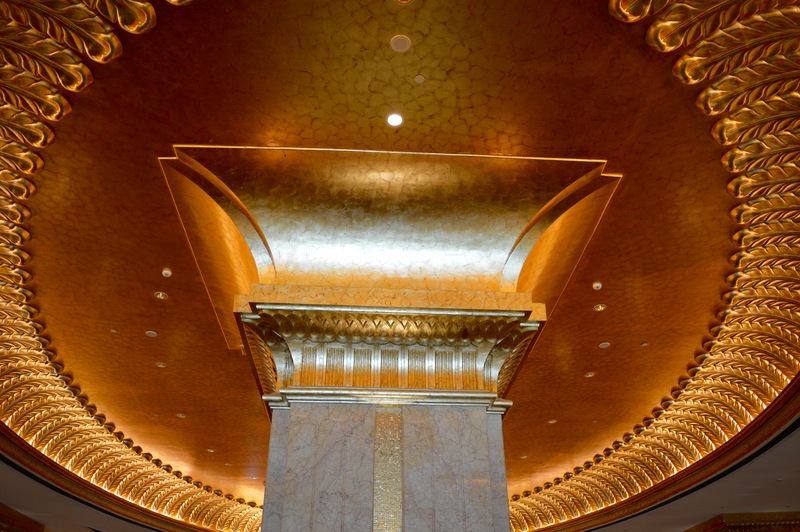 As soon as you have reached the air-conditioned area, the first view immediately leads upwards – everywhere is gold and a dome of incredible magnitude! The polished marble floors, chandeliers and countless appropriately placed lamps let the entire interior become an unforgettable experience. The further you get inside the huge lobby, the better you can hear the cello player who lets the local cafes guests relaxing become even easier. 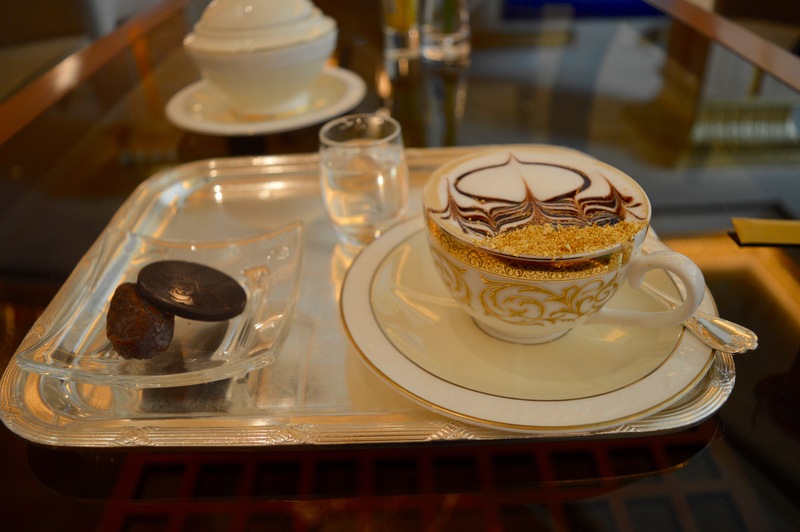 Although this would not have been necessary for me, I ordered the most extravagant cappuccino I´ve ever tried. Decorated with lots of milk foam and real gold leaves (!) the coffee was served with two tasty biscuits. For 50 dirhams (at the time of my visit approximately € 12.50) it´s not cheap, but in my opinion it is definitely worth it. 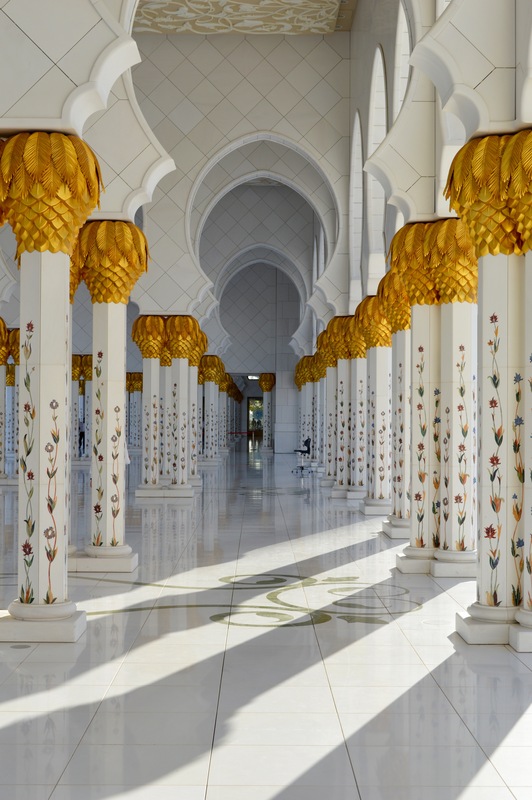 After the noble rest, I continued in the east of the city – to the largest mosque in the United Arab Emirates, the Sheikh Zayed Mosque. 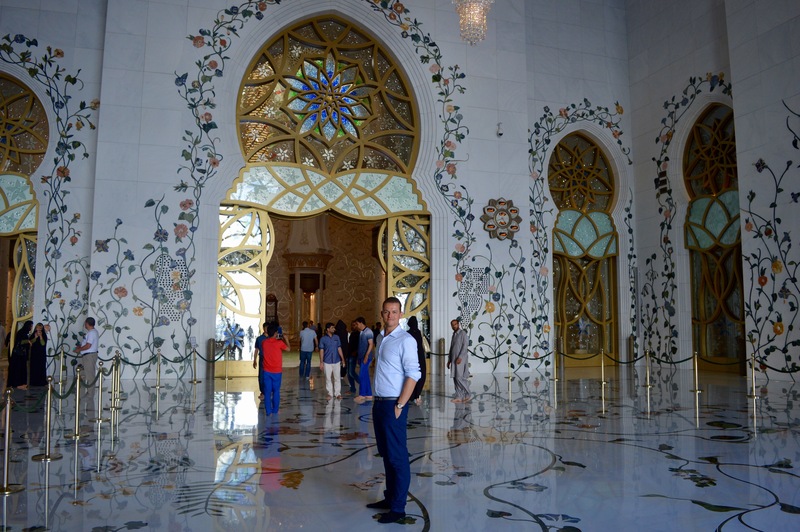 Its visit is free, but the dress code is even more stringent than in the Emirates Palace. Women here have to wrap up an abaya (the typical Arab clothing), men at least long trousers. In case if you were improperly dressed, there is the possibility to borrow changing clothes. 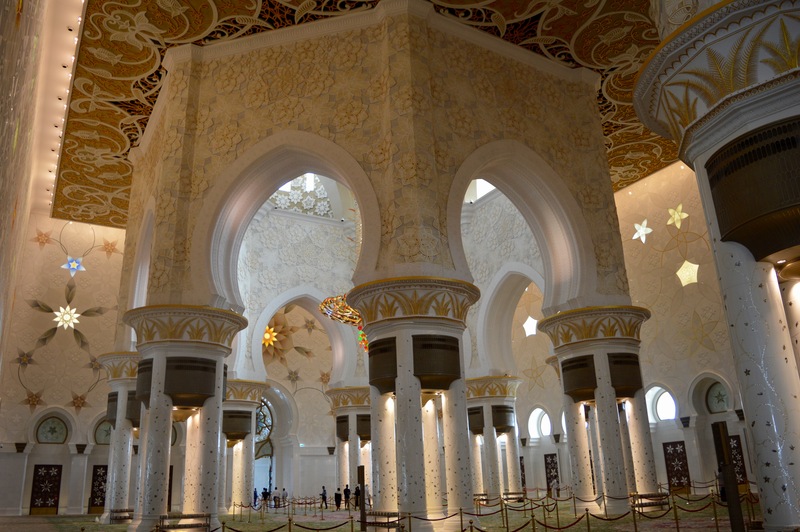 If you have changed clothes and entered the mosque, its size and appearance is absolutely breathtaking! 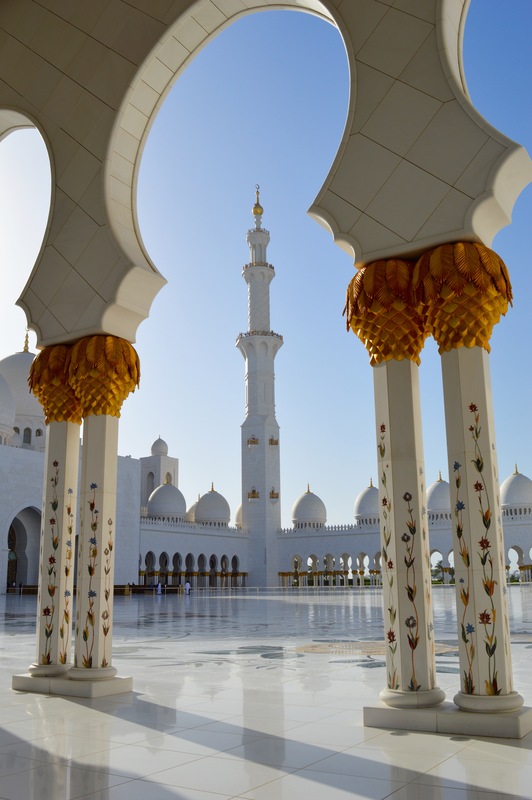 The huge courtyard is surrounded by lots of small domes and consistently designed with white marble. Everything is just beautiful, well maintained and clean. The dome with a diameter of 32 meters, is the largest in the world. 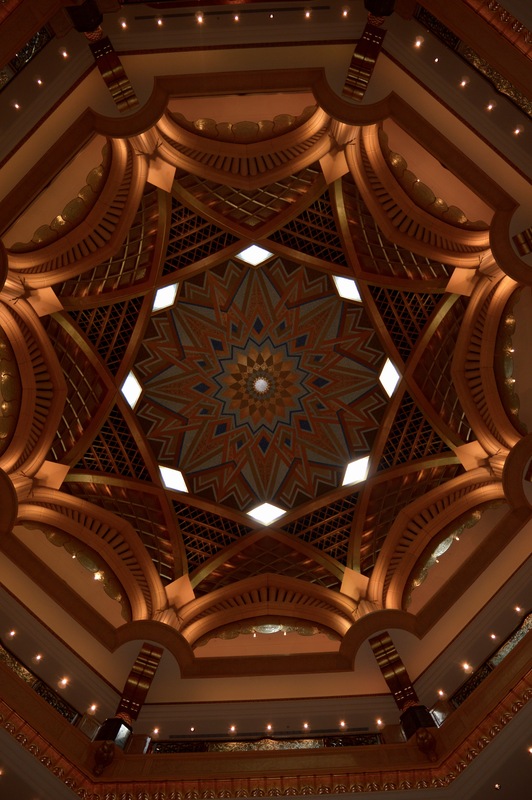 The hand-knotted carpet with more than 5500 square meters and a weight of 47 tons is the largest in the world, just like the 15-meter high chandelier in the middle of the church . The last sight of my trip to Abu Dhabi was a visit at the Formula 1 circuit on Yas Island. In the internet I have already read that it is possible to cycle or walk along the track, once a week. Fortunately during my visit that was possible and so the hours on Yas Island have become the most memorable of the day. I had to pay 30 dirhams for the bike, at the time of my visit about 7,50 €, for being allowed to circumnavigation the 5,5 – kilometer track. A cheap pleasure you definitely mustn’t miss! Chilled water bottles are available everywhere along the track, so you can survive the high temperatures easily. During the sunset, the mood on the track is especially nice . Next to the music, that sounds along the entire route from countless speakers, the weather becomes colder and the sunbeams wrap the whole track into a warm orange-red light – simply beautiful and unforgettable! 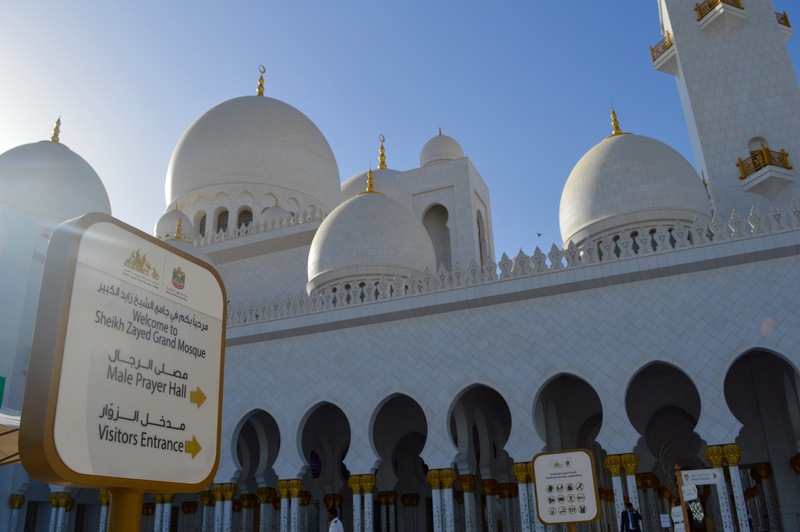 Whether pure luxury at the Emirates Palace, impressive traditions in the Sheikh Zayed Mosque or the sporty highlight on Yas Island, the day in Abu Dhabi was more impressive than I could have imagined. You can visit all three attractions in one day, as I have done. 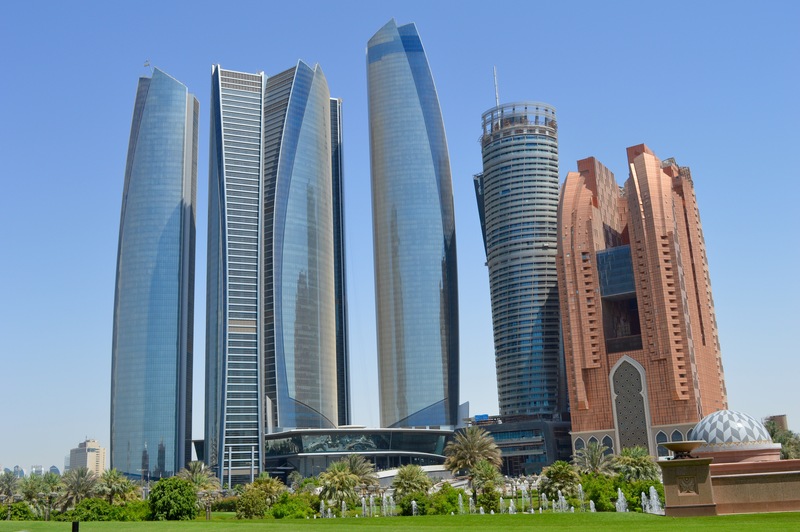 But if you want to visit Abu Dhabi less stressful and may also want to visit the city center or the beach, it is definitely recommended to spend a night in Abu Dhabi. 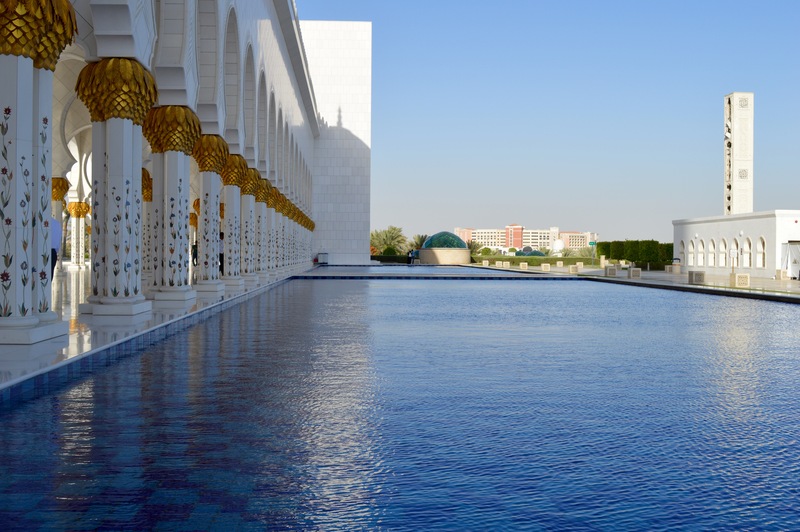 Netherless, visit Abu Dhabi – it is definitely worth it!